Marked today mainly by the remains of two fountains, this imposing edifice was the official wing of a vast emperors’ palace, built by Domitian in AD 81. 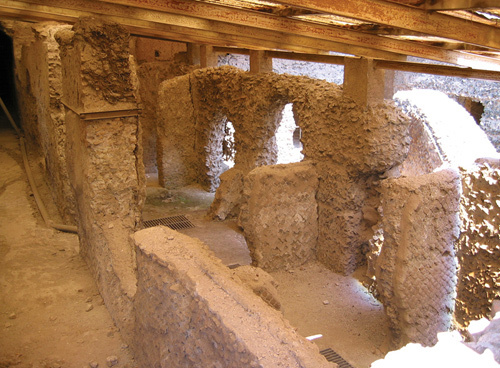 This 1st-century BC structure, now below ground level, formed part of the residence of Augustus and his second wife. Here you can examine a number of mosaic pavements and wall frescoes. This former convent houses a wealth of artifacts unearthed here, including pottery, statuary, ancient graffiti and very fine mosaics. You can also study a model of the Iron Age Palatine. 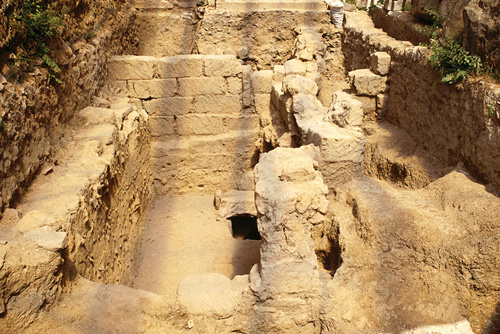 Traces of the three 9th-century BC huts were uncovered in the 1940s. Legend says that this tiny village was founded by Romulus, who gave Rome its name . 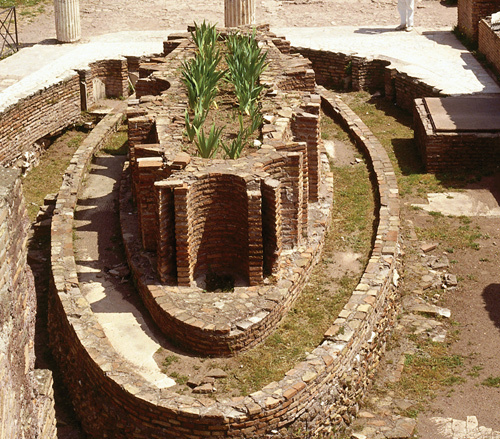 Possibly a racetrack, or just a large garden, this sunken rectangle formed part of Domitian’s palatial 1st-century abode. All that remains of the private wing of Domitian’s imperial extravaganza are the massive substructure vaults. 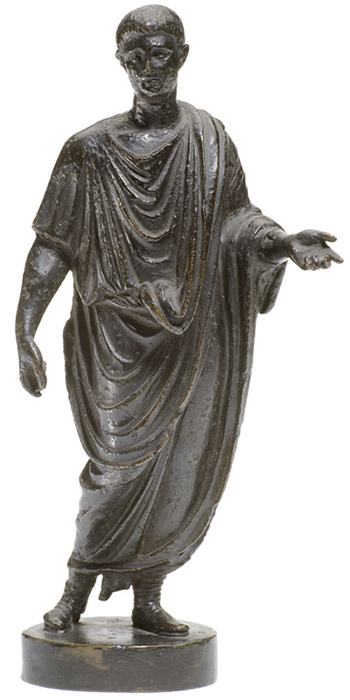 The orgiastic Cult of the Great Mother was the first of the Oriental religions to come to Rome, in 191 BC. Still here is a decapitated statue of the goddess. Priests worshipping Cybele ritually castrated themselves. Plants and elegant pavilions grace part of what was once an extensive pleasure-garden, designed by Vignola and built in the 16th century over the ruins of Tiberius’s palace. This series of underground corridors, their vaults decorated with delicate stucco reliefs, stretches 130 m (425 ft). 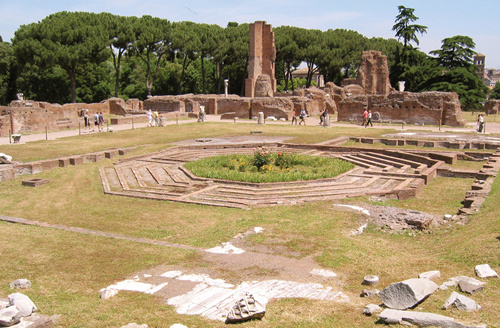 It connected the Palatine to Nero’s fabulous Golden House . 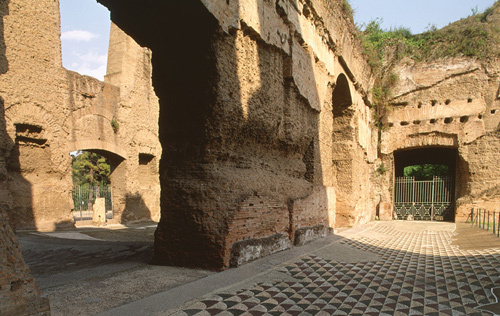 Huge arches and broken walls are all that remain of this emperor’s 2nd-century AD extension to the Domus Augustana. 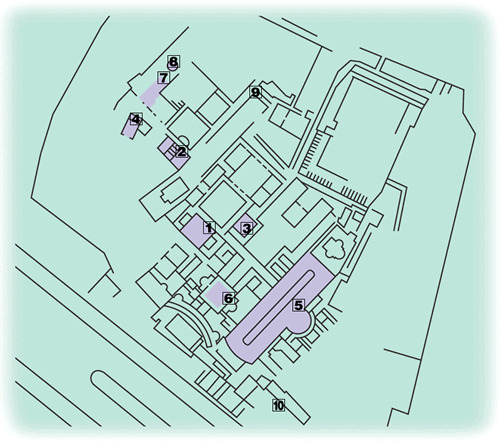 Most Romans lived in insulae, apartment buildings of perhaps six floors, with the poorest residents occupying the cheaper upper floors. An average Roman male citizen arose before dawn, arranged his toga, and breakfasted on a glass of water. Then out into the alleys, reverberating with noise. First, a stop at a public latrine, where he chatted with neighbours. Next a visit to his honoured patron, who paid him his daily stipend. Lunch might be a piece of bread washed down with wine. Bathing waited until late afternoon, when he met his friends at a public bathhouse. There he lingered – conversing, exercising, reading, or admiring the artwork – until dinnertime. The main meal of the day was taken lying on couches, with his slaves in attendance. Then it was bedtime. Roman matrons, apart from their time at the baths, spent the entire day at home, running the household. Roman Bathhouses As the centre of Roman social life, bathhouses were grandiose affairs, as seen in the remains in the Baths of Caracalla .